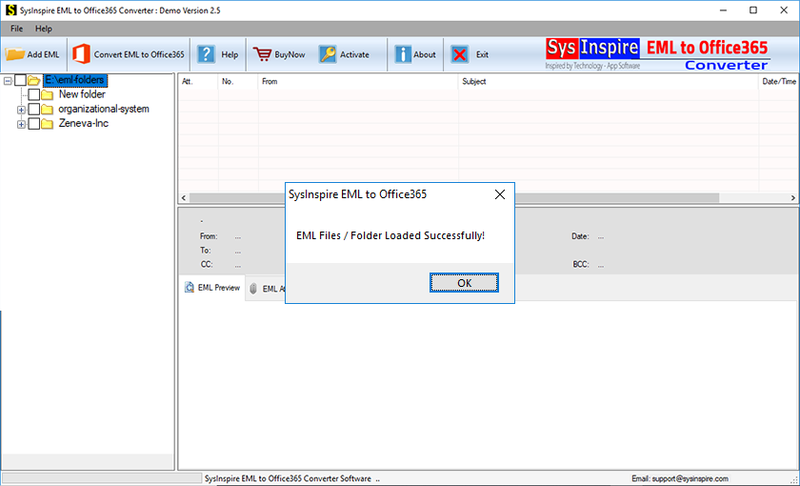 SysInspire EML to Office 365 Converter Software is secure for performing conversion from EML file to Office 365. EML to office 365 conversion Software will easily support multiple mail clients that creates EML file like- outlook express, Windows Live Mai, Windows and Thunderbird for conversion their emails, Contacts and other attachments items into Office 365 with maintains data integrity. 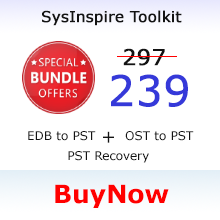 Software provides easy graphical user interface to recover and Import EML to Office 365 with maintains folders, sub-folders structure and emails formatting/properties. Free Demo Of the Software helps to converts 25 items from every folders into each formats. 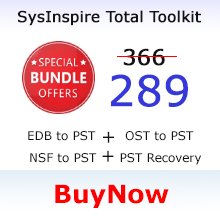 SysInspire EML to Office 365 Converter Software is fit for supporting EML File to filters and doing admirably transformation their included information like-emails, contacts, attachments, calendars and so forth into office 365 cloud. Best EML to Office 365 Conversion Software permits clients include numerous EML file Folders one by one and after that convert EML to office 365 with complete details and properties. 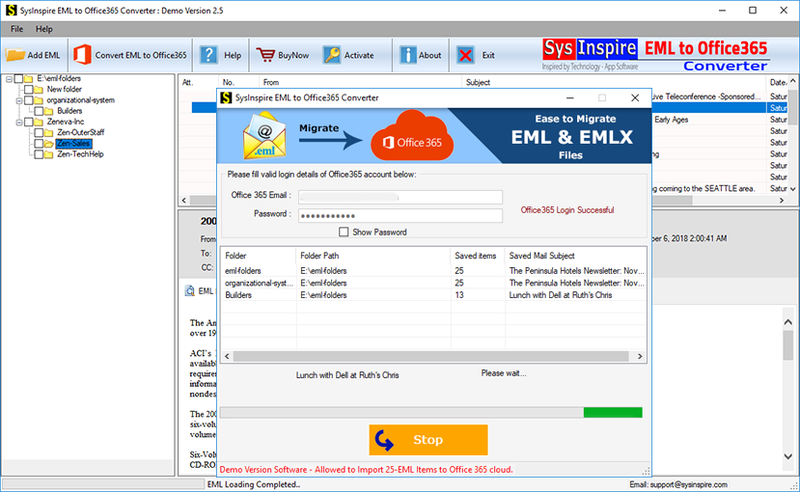 SysInspire EML to Office365 Converter Software has a great interface and it capable to import the entire mail from EML files to Office 365 users account with no limitation imposed. Moreover, the Software capable to Export email messages, attachments that are inclined with every emails. EML to Office365 Conversion Software allows users add multiple EML folders/ files to Microsoft Office 365 user account. Preserving Emails properties and formats are the best and attractive feature of this wonderful EML to Office 365 Converter Software that promise to not make any changes in database of EML file at the time of conversion. 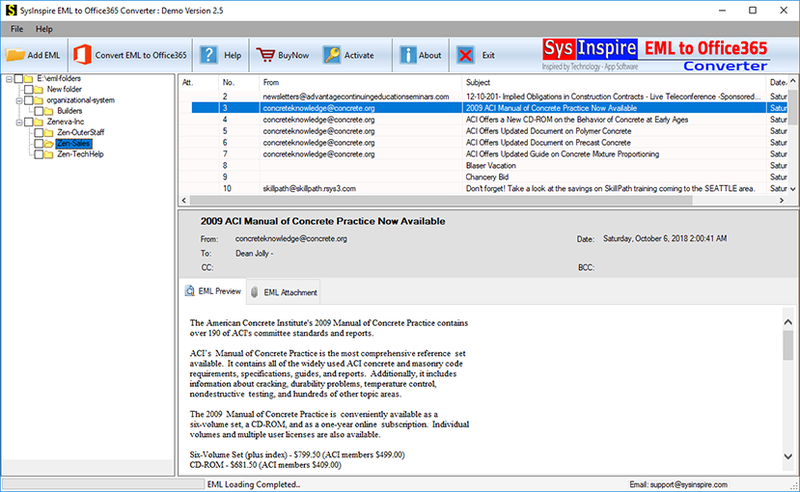 Software maintains all meta properties- to, bcc, time, cc, subjects and from and moreover it is compatible with all versions of MS Outlook and Windows versions. EML to Office365 Converter Software promise to do complete recovery and conversion of EML file items like- emails, contacts, calendars, task, notes etc to MS Office 365 without making data changes. There no file size limitation; you can add any size of EML folders and files for making conversion into Office 365 with maintains folders structure and emails formatting/ properties. EML to Office 365 Conversion Software supports all mail clients’ application from windows live mail, windows, outlook express and thunderbird for making conversion their data into Office 365. So you can easily browse EML files/ folders in bulk and convert them into Office 365 with emails and attachments. EML to office 365 Conversion Software helps users to extract the contacts from windows live mail and convert Windows Live Mail Contacts to Office 365 with preserve all contacts details- first name, last name, address emails etc. It is secure way because it never create problem while Import EML to Office365 with preserve data. If you want to convert thunderbird emails into web-based Office 365 so you can download wonderful EML to Office 365 Converter Software that easily recover and Export Thunderbird to Office 365 with emails, contacts, calendars, task, notes and other folders. It is safe for Export thunderbird to Office 365 cloud. Can I Export thunderbird to office 365 using this best EML to Office 365 Converter Software? 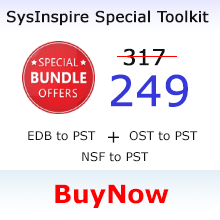 Yes, with this software you can convert thunderbird to Office 365 without create problem. Is it possible to convert multiple EML files/ folders in single attempt for conversion with EML to Office 365 Converter Software? Can I Convert some folders of my EML files to Office 365 with this EML to Office 365 Conversion Software? Yes, with using this Software you can convert some folders of EML files to Office 365 with maintains data. Do I need to install any third party application on machine to install the EML to Office 365 Converter Software to convert? 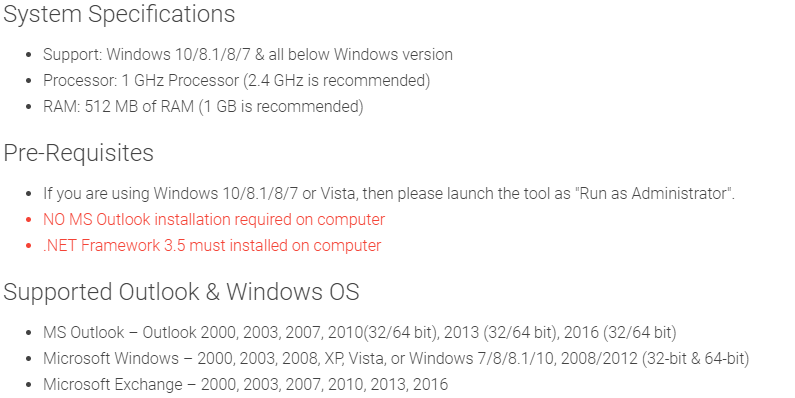 No, there no any application needs to install. 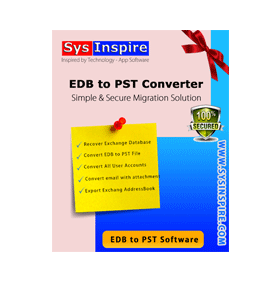 You can easily install this software and convert EML to Office 365. Can I Export Windows Live Mail Contacts to Office 365 using the Software? I am really thankful of the developer of this wonderful software because of the software export my all EML data to office 365 in less time Moreover, the software complete the process without any data lose. 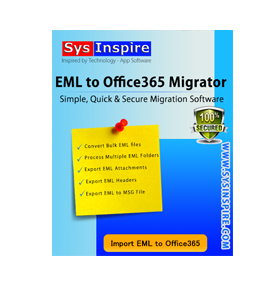 I liked this software and suggested this software to all users who want to Convert EML to Office 365.